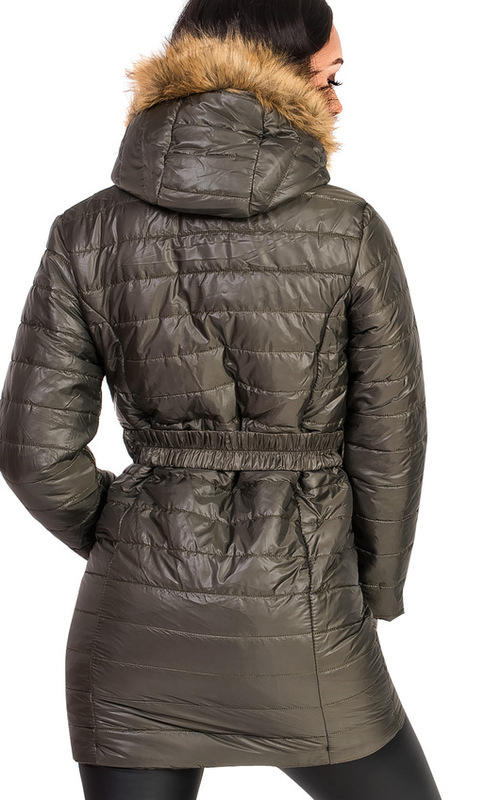 The Ella padded jacket is not to be missed this Winter! Featuring a fur hood, padded exterior,pockets and gold zip fastening. Layer over a cosy knitted jumper and jeans for a cosy daytime look!